You are receiving this email as a client contact of Aurecon. Welcome to our June eNewsletter. 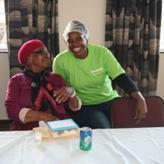 I enjoy hearing stories about our people and our clients contributing to communities. 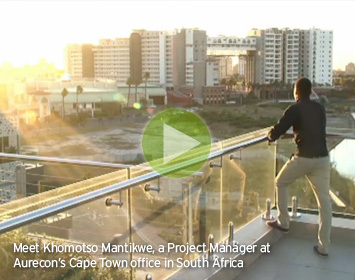 Cape Town Project Manager Khomotso Mantikwe has a fantastic story. Please click on the image to the left to watch Khomotso talk about his love for giving back through his project work at Aurecon. upcoming conferences and feature stories about our diversity and community programmes. Please contact us at Aurecon if you have any questions regarding the contents of this eNewsletter. Bernard van Biljon, Mike van Tonder and Dave Bekker from Aurecon will be speaking at the Southern African Transport Conference in Pretoria. At the 9th Design and Health World Congress and Exhibition in Brisbane, Aurecon will be presenting a paper, hosting an exhibition booth and running a breakfast panel discussion. Will urbanisation break the big cities? Aurecon's support included sponsoring paint, toiletries, personal accessories, mattresses, pillows and various nutritional products. 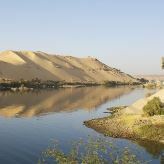 Aurecon has successfully delivered data processing and modelling services for the recently completed Nile Basin Decision Support System (DSS) project, which aims to assist the Nile Basin Initiative (NBI) in water resources planning and investment decisions. 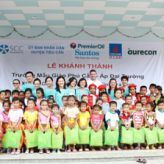 Aurecon provided pro bono engineering services for Saigon’s Children Charity (SCC) which celebrated the much anticipated opening on 25 April 2013 of its Dai Truong kindergarten, one of two SCC kindergartens in Vietnam’s Tra Vinh province. 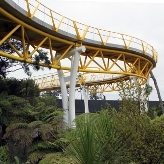 Creative solutions were needed for a new 220 metre long pedestrian and cyclist connection in Auckland. Aurecon used 3D drafting and 3D structural analysis models due to the complex geometry of the trusses and skewed piers.